On the Monday following their Nov. 14 SACMS concert, the Imani Winds presented an outreach program at Sam Houston High School. After the group got on stage, four of the musicians went out into the aisles surrounding the 115-student audience and the bassoon player stayed on stage. Without an introduction, the group played a stirring cannon that brought cheers from the students. After this the flute, oboe, clarinet and French horn players came back to the stage and started a very interactive program with the students. They discussed their instruments, their abilities and limitations and demonstrated what they could do. 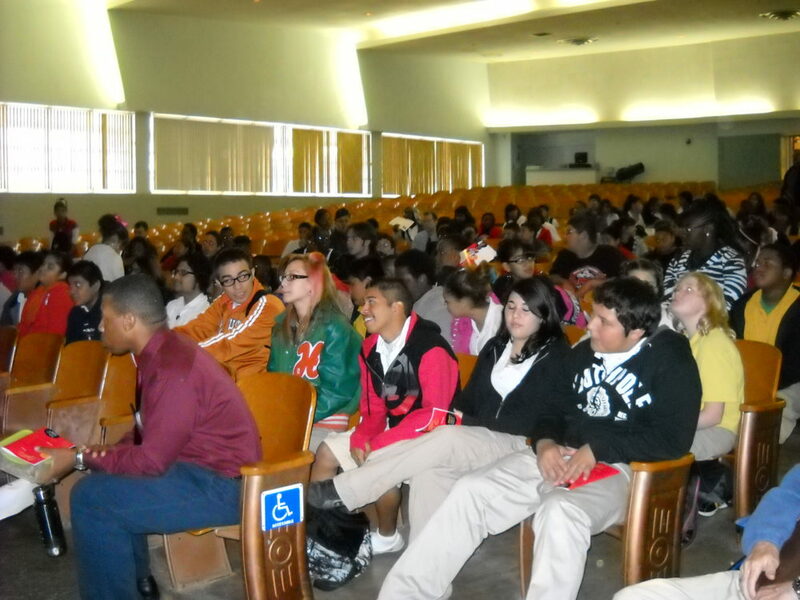 In addition to the Sam Houston High students, there were students from the three middle schools that feed into Sam Houston. The Imani Winds are all black and all graduated from public high schools before going to major music schools or conservatories. We had heard the group on St. Paul Sunday on KPAC, where they stated that one of their goals was to show kids of color that they can succeed as professional musicians. During questions from the musicians, the students indicated that very few had heard any chamber music before, let alone a woodwind quintet. The group played portions of several pieces either written for the Imani or commissioned by them, including a piece written by Imani flutist Valerie Coleman. 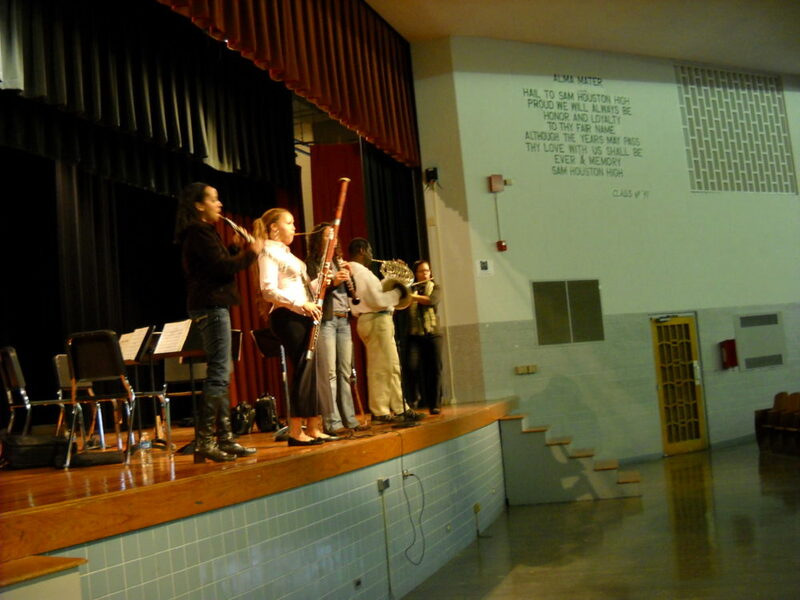 The students enthusiastically answered questions from the musicians and indicated that there was a good representation woodwind players in the audience. Kathy Clay-Little wrote a complimentary column in the Express News on Nov. 19. We worked with Mr. Bruce Adams, the Sam Houston Band Director in organizing the program. We thank Kathleen Mansmann of SAISD for her help in coordinating the event.